Reading customer feedback is like glimpsing into the future. You can not only see what’s working, but also spot potential issues before they blow up into a full-on crisis. The post went viral with thousands of likes, shares and comments. As a CEO of a fast-growing startup, there’s a million other strategies and tactics that Dave could be doing, but he deliberately prioritized reading support tickets. He understands the value of building relationships and staying close to customers’ feedback. Customers are the lifeblood of any business. Without customers, you have no sales. Without sales, you can’t pay the rent, you can’t pay your team members’ salaries and you have a one way ticket to going out of business. As founders and CEOs grow their teams from a few employees to 100+, reading customer feedback can often get put on the backburner. This leads them to only look at a handful of data points where you can’t see the full picture and can desensitize them from real customer pain points. Founders need a certain degree of optimism to start and grow a business that solves a problem better than anyone else. You can’t build a large, successful business on optimism alone. Practicing empathy is putting yourself in your customers’ shoes and really understanding what they are going through before you craft a response. There’s a fine line between unbridled optimism and delusion. Listening to customers’ feedback and what the larger market is saying (or in some cases isn’t saying) can keep you firmly grounded in reality. CEOs, like Dave, understand this better than most. While many CEOs view customer service as a cost center and build the cheapest call center in the Philippines or India, Dave does the opposite. He invests heavily in customer service and treats it as a word of mouth marketing machine. 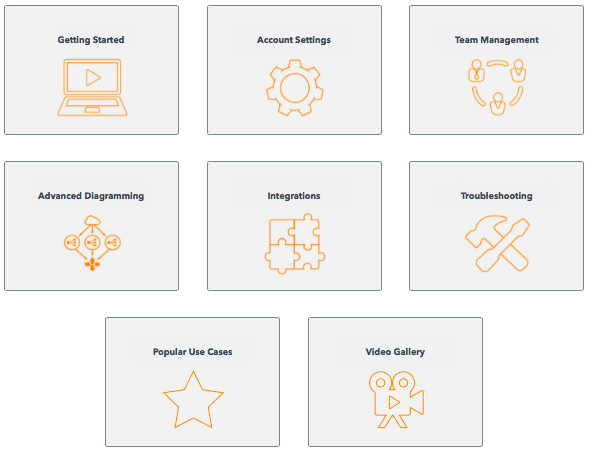 In fact, their two biggest sales at Lucidchart came from support tickets. Creating an ongoing and direct feedback loop with your customers allows you to not only better understand their issues with your product but it also allows you to build stronger relationships with them. Real relationships are how the biggest deals get made. You never know when that little support ticket can turn into a game-changing new feature or a $100,000 contract. Customer support done right breeds empathy and self awareness. These are two of the biggest traits that every CEO or executive needs to be successful. No CEO likes to read negative comments about the product – be it through email, social media, review sites, etc. But guess what – reading and then responding genuinely to your negative feedback is going to make your product or service better. The reality is that if someone takes the time to complain about your product, it means they are still invested in it and are giving you an opportunity to fix it. Otherwise, they wouldn’t be wasting time commenting or trying to get your attention. They’d just move on quietly to your competitor. Jordan Cook, a sales operations leader at InsideSales.com, started his career in support. His time in support helped him tremendously as a sales leader. “I have personally seen accounts be saved, lasting relationships formed, and deals closed – all from the efforts of frontline product specialists – the unsung heroes of any good software company,” said Jordan in a comment on Dave’s post. In fact, I’d take this a step further. You shouldn’t be worried if you receive negative feedback. The real trouble is when your customers stop talking about you at all. Great customer service builds brand loyalty (and in turn more sales). On average, one happy customer tells nine people about their experiences with a company. Unhappy customers talk more and tell an average of 16 people. When you respond and turn an unhappy customer into a happy one, you are not only savaging that relationship. You’ll also likely get a handful of new referrals. There’s a fine line between unbridled optimism and delusion. Listening to customers’ feedback and what the larger market is saying can keep you firmly grounded in reality. You can measure customer loyalty using a survey metric such as Net Promoter Score (NPS). 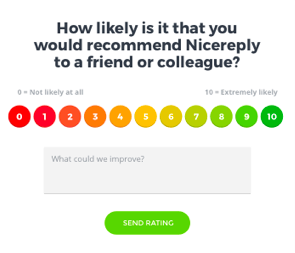 This short survey asks on a scale of 1-10 how likely you are to recommend this product or service to a friend. Read more about implementing an NPS program to measure your customer loyalty. Dave’s company is known for providing great customer service. This not only helps them retain their current customers, but is is also a valuable sales asset. People want to do business with people that they know, like and trust. Great customer service is a relationship builder and marketing machine not a cost center. You don’t control your brand’s message, your customers do. The frontline is your customer service people. You shouldn’t be worried if you receive negative feedback. The real trouble is when your customers stop talking about you at all. This is something that Kevin Carly, a Product Support Manager at Oracle, understands better than most. This is the most important benefit, and the easiest to overlook. In this day and age, no brand is too big to fail. You don’t have to look far to see an example of where a big brand became complacent for too long and it was their own demise. The most recent example is Toys ‘R Us. I grew up in the 1990s. I remember watching their jingles on TV and then begging my mom to take me to the toy store to buy more toys. But, Toys ‘R Us became complacent. They stopped listening to their customers, and their competitors- (Walmart, Target, Amazon, etc), came in and cleaned up shop offering a superior customer experience on and offline. The same thing happened to Sears, Blockbuster, and many other big brands from the latter half of the 20th century. Now that I’ve convinced you reading customer feedback is important, here’s a practical approach for how to build customer feedback into every single day in less than 15 minutes. Or, if you are an employee, how you can convince your CEO to do this every day. You likely already have a dashboard or spreadsheet where you are tracking key KPIs and metrics. If you don’t already have a couple of customer experience metrics in that dashboard, add them now. Two recommended ones to use are: NPS – Net Promoter Score and CSAT – customer satisfaction score. Keep this dashboard in an easy to reference location. A wall monitor or an embedded dashboard in your internal Wiki are two great ways to keep focus on the metrics that matter most. It is not always practical to read even 20% of tickets in your support queue. One quicker way to get a pulse of customer feedback is through screenshots. I love using screenshots because you read in the customer’s voice, and nothing gets lost in translation. For a balanced view, have your team send you three happy customers, three angry customers and four feature requests or interesting observations every week. Send an email, get on the phone or even meet a customer in person every single day. This maybe takes 10 minutes out of your day but those 10 minutes can go a long way in keeping you looped into critical customer feedback loops. If you are a bigger company, make a point to have a quick, informal chat with a different employee every single week. One week, it can be someone in engineering. Another week, it can be support. This not only builds company culture and transparency. It will also allow you to gather innovative ideas and spot potential customer or team issues faster. Finally, if Jeff Bezos, Amazon’s CEO has the time to read through every piece of customer feedback emailed to him, what’s your excuse?